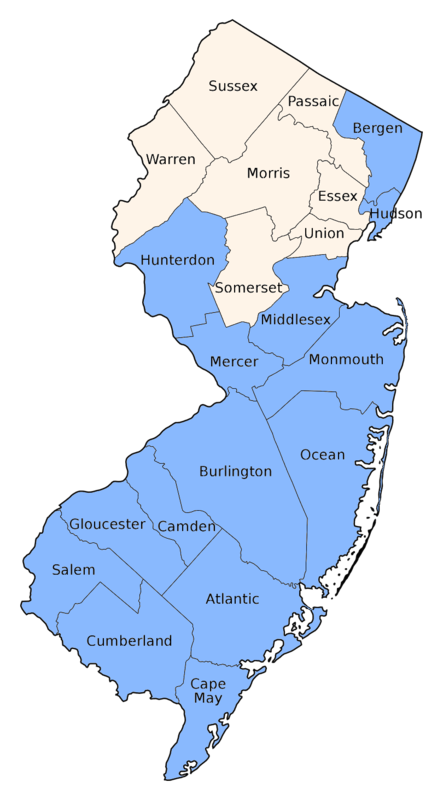 Found coastally throughout the state. 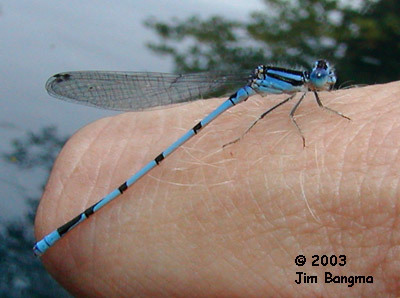 Aptly named, it is a BIG bluet. 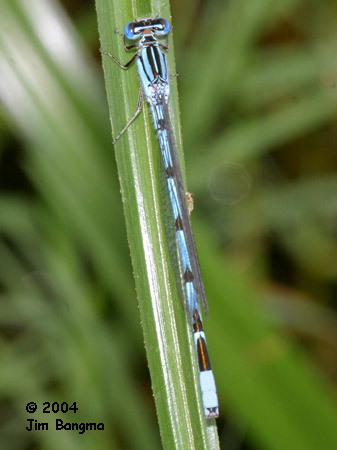 Similar to Familiar Bluet and Atlantic Bluet but can be usually distinguished by the blue middorsal line and the arrow shaped black markings on the abdomen. The postocular spots are small and connected to the occipital bar. Caution - some populations are quite small in spite of the name, but the field marks should separate them from the similar species.